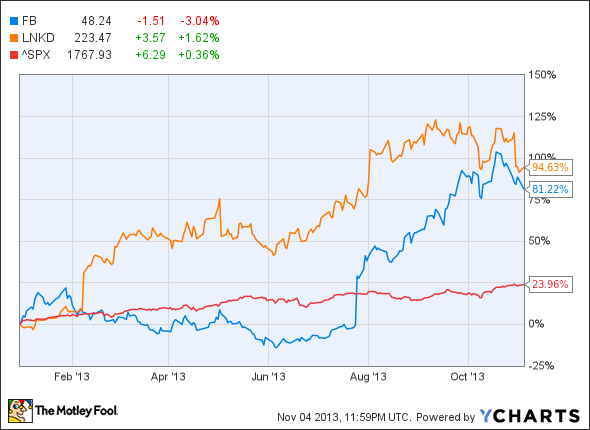 What’s Wrong With Twitter Inc’s IPO? WASHINGTON, DC –Twitter (NYSE: TWTR.US) has priced its shares at $26 each, more than the $23-$25 range initially announced due to high demand, making it the biggest market debut for a technology firm since Facebook (NASDAQ: FB.US). Although they maintained the size of the offering at 70 million shares, Twitter and its underwriters first raised the previous $17 to $20 pricing range for the stock to $20 to $25, before today’s “$26” news. If the underwriters exercise the overallotment option for an additional 10 million shares, Twitter will end up raising more than $2 billion at the top end of that range. With those precedents in mind, should investors ignore the sceptical articles regarding Twitter and plow into the stock? My answer: no. Where Facebook and LinkedIn are solidly profitable, Twitter isn’t. In that regard, it’s closer to local-business review site Yelp, which has yet to turn a quarterly profit (although that hasn’t stopped the stock from gaining 241% this year.) Twitter is a fascinating platform, and it has already made a massive impact on business and popular culture, but as a business model, it’s still finding its feet. Several ad buyers at major advertising firms recently told the Financial Times that the funds they allocate to Twitter come out of their “experimental” budgets. I think the odds are excellent that Twitter’s stock will post muscular gains once the shares begin trading, but whether it will prove an excellent long-term investment looks much more uncertain. Investors who are interested in buying the shares should first ask themselves what they expect to achieve, over what timeframe… and how much they are prepared to lose in an adverse scenario. While investors remain split over Twitter's IPO, our team of top analysts have highlighted a share that they believe has yet to fulfill its growth potential, and produced a special report in which we evaluate its finances, risks and growth prospects going forward.